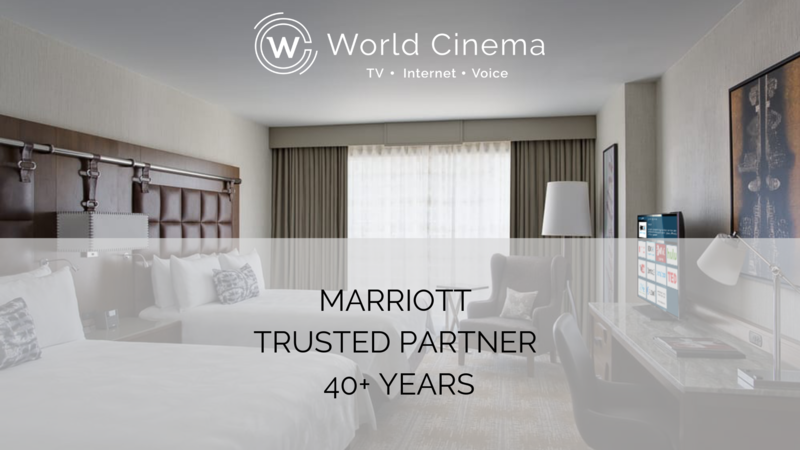 For over 40 years, World Cinema has been partnered with Marriott to provide the premiere technology to over 1,800 properties and growing. Imagine your guests relaxing in your properties room. They turn on the TV to notice that they are immediately greeted on the screen; Welcome Jon Smith. Thank you for choosing Marriott! Just like that, they feel at home. The goal is to enable the guest to have everything at their fingertips. Ease and access through technology is becoming the norm. Through the trusted platform, guests can now place order food, book a spa appointment, request more towels- all from their remote. Checkout is easier than ever, giving guests the option to view their bill and checkout minutes before they step out the door from their TV screen. Streaming Apps! We are in a day and edge where cord cutting is occurring and online streaming apps have taken over. 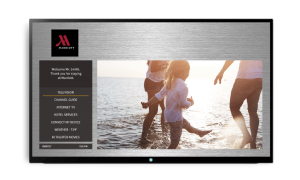 At Marriott and WCI properties guests can feel like they are right home with Netflix, HULU, HBO GO, Showtime, Crackle, YouTube and much more. Don’t worry, guests login credentials are automatically deleted upon checkout. Not to mention Chromecast solutions to enable guests to cast their personal devices directly to the TV. Thing have just gotten easier. Learn more about our platform here. Marriott approved frames and logos on each menu page. World Cinema has proven time and time again that service to our partners is key. Providing 24/7/365 Network Operations Center and remote remediation, also not to mention that 90% of service calls can be resolved over the phone. Request a demo from our Sales Team today to give your guests the future of technology.